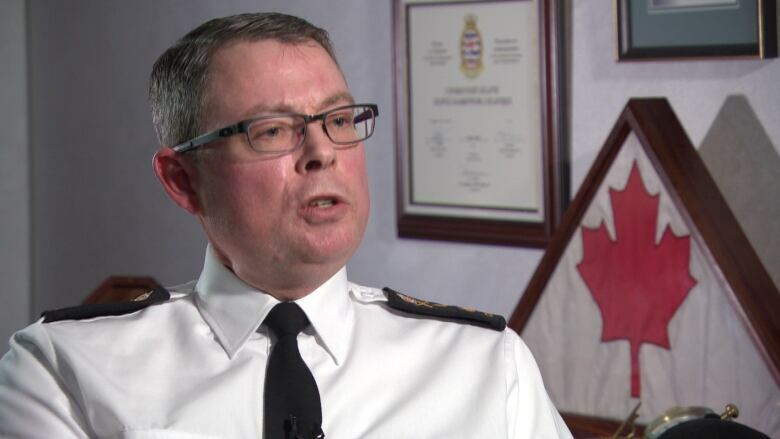 In an exclusive interview with CBC News, Vice-Admiral Mark Norman says Canadians could be asked to pay as much as $30 billion just to build new warships, and perhaps billions more to manage the program and buy spare parts and ammunition. The head of Canada's navy says Canadians have not been given accurate information about the growing price of new warships. CBC News reported on Tuesday that the costs of 15 warships has more than doubled from $14 billion initially set aside for construction to more than $30 billion, according to an independent analysis of the program. 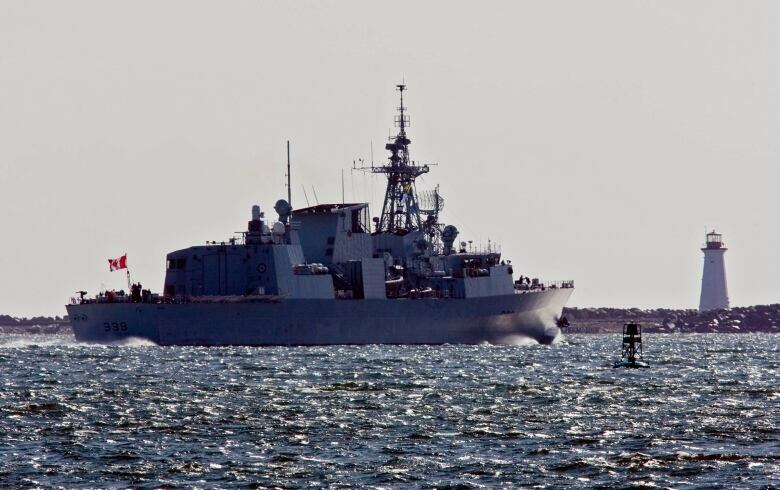 Those figures bring the total cost to upgrade Canada's navy to $42 billion — $16 billion more than the $26.2-billion approved by the government for the Canadian Surface Combatant program. That would make the warships component alone more expensive than the approved budget for the entire national shipbuilding program, which also includes supply ships, Coast Guard ships and Arctic vessels. On Wednesday, Norman offered an explanation for the budget trouble. He said it flowed from a lack of professional capacity and maturity across the shipbuilding sector in Canada, from Navy officials, to procurement bureaucrats right on down to the shipbuilders. "We didn't have that mature relationship. We didn't have the mature industry and so there was a lot of guessing and speculation going on. And to be quite blunt, we got a lot of it wrong," Norman said. "As soon as we start throwing numbers around, those numbers become the gospel or the focus of the discussion," Norman said. "We had concerns all along. Obviously the concerns were less acute in 2008 and 2009, when the locking-down process, if you will, was fresh, the ink was drying on that. But as we've gone forward, you know, we've had real concerns." That's because those locked-in prices end up acting as a kind of budget cap. They also act as a limit on capability. The navy found itself unable to talk about the the requirements it felt it needed aboard the ships it wanted to build for fear of breaking the budget barrier. "This is an expensive business. We're building warships. We're not building ferries," Norman said. "You can paint it grey and you can put a flag on it and you can call it whatever you want, but it's not a ship that's capable to go into harm's way, do things that it may have to do to, and have a reasonable probability of bringing young Canadians home safely, and that's what we're talking about." Norman offered an important caveat: The government always gets to decide how much of the public treasury will be spent, and the navy will always live within those means. But Norman said two recent reviews — including the one by the consulting firm A.T. Kearney that warned costs could soar — will give the navy the fresh data it needs to start assessing how many ships it needs, what capabilities those ships need and what a fair price might be. These are the tradeoffs Norman says the navy is studying. That leads to the possibility Canada could end up with fewer ships, or less capable ships, or ships that cost much more. It's a kind of balancing act done while perched atop a three-legged stool, with the goal being to provide enough ships capably equipped to defend the nation. "The difficult work ahead is to decide what kind of ship we're really talking about, what that ships going to be capable of doing, how it will be able to be employed by Canada for the next 40 years, and how many of those right kinds of ships we can or can't afford," Norman said. How many ships is too few? Norman did sound a warning, though. It is possible to buy too few ships, he said. Whatever capability Canada's new warships end up possessing, quantity still has its own quality. No matter how good the ship is, it can only be in one place at one time. "I will say that [any number] that's in a single digit is inadequate to Canada's needs," Norman said. Last week, CBC News reported Defence Minister Harjit Sajjan and Public Services Minister Judy Foote were warned the shipbuilding strategy is in need of repair, with costs for some projects soaring by as much as 181 per cent and others on the cusp of being cancelled. A briefing to the ministers called for an "action plan" to get the program back on track. Put simply, the government will have to decide how much capability is appropriate for the Canadian navy and at what cost. Now it seems that's a discussion to which the navy wants to contribute. "This isn't a case of 'trust us.' In fact, far from the truth. Challenge us, question us," Norman said. "We want to do this in an open and transparent fashion so that we build not only our own confidences as a team, industry, government defence, whoever — but we also increase the confidence of the taxpayers because ultimately, this is their money we're talking about."